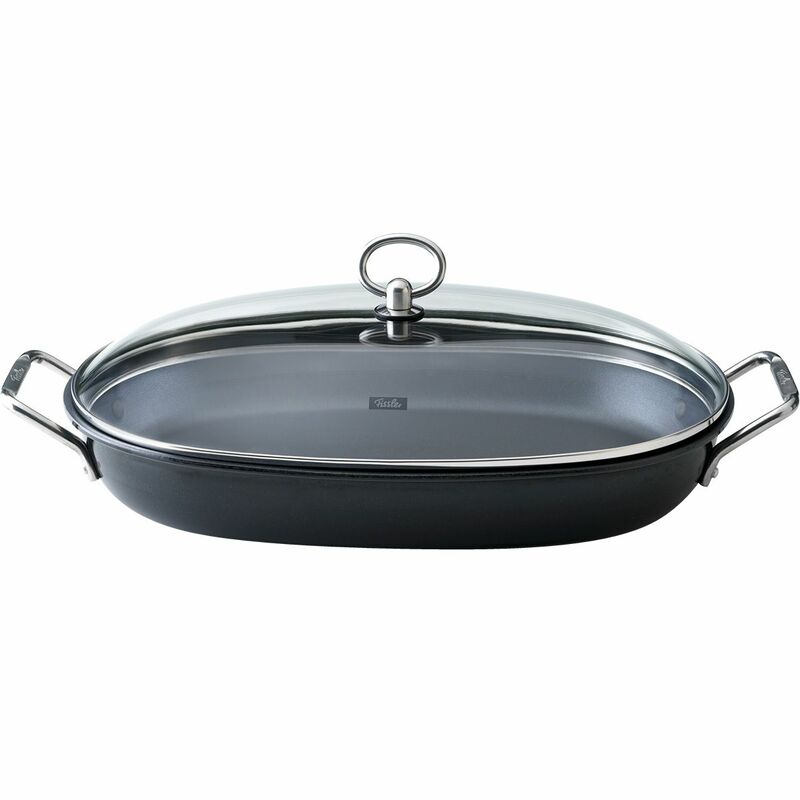 A must have for fish fans not only on Fridays: the Fissler serving pan special fish. The special thing about this pan is its dimensions - it is oval and so large that whole fish fit in! Nordic plaice, tender zander and exotic pangasius are guaranteed to succeed in the special fish pan. The oval serving pan is ideal for preparing whole fish and larger portions, even in the oven. The thermotech base is particularly suitable for ceramic stoves but also for all other types of stoves, except induction stoves. The top sealing of the pan ensures the very best non-stick effects. So you fry completely without fat! The protectal-plus sealant is very hard, extremely durable, abrasion-resistant and particularly easy to clean. Guaranteed PFOA-free.